Keyhole Land Company is a licensed Wyoming real estate brokerage firm. Bob Brockman established Keyhole Land in 1987, with an office at 805 10th Street, in Wheatland, Wyoming – and we’re still there. Keyhole Land Company services include real estate sales, property management, and appraisals. We currently manage several thousand acres of Wyoming land, including ranches, irrigated and dry cropland, and recreational properties. In addition, we provide consulting and management for commercial property and development projects. We know real estate, and we know Wyoming. If you’re buying or selling property, whether it’s your first time or your last time, Bob and his staff at Keyhole Land will help you evaluate, negotiate and complete a purchase tailored to your specific needs. When you sign with Keyhole, we put you on speed dial and you stay there until after the deal is done and we know you’re happy. That’s the Keyhole way. We appreciate your visit to our website and hope that you will contact us if you have any questions. 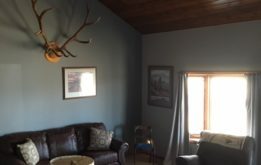 Call now – We move Wyoming property fast!